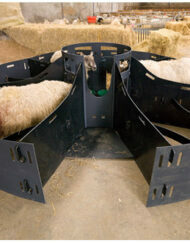 The diameter of the 3 ewe lamb adopter is 116″ (2.95 m) and comes out 78″ (2 m) from the wall it is against. 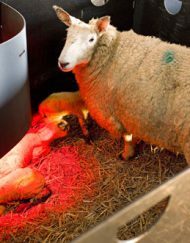 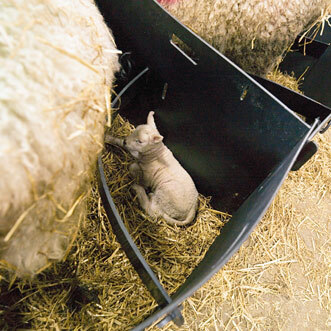 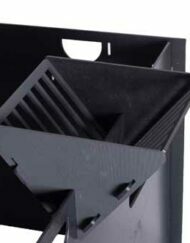 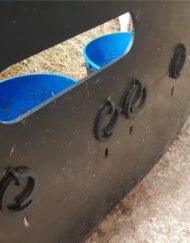 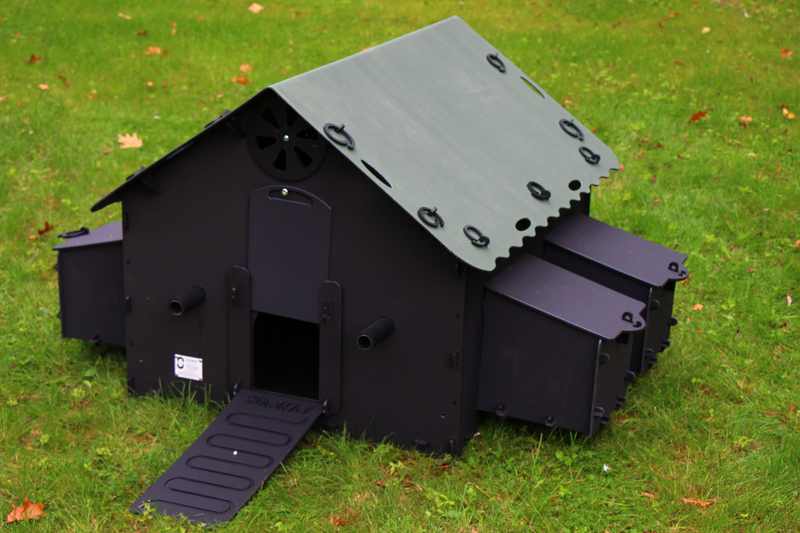 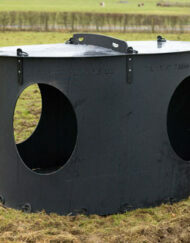 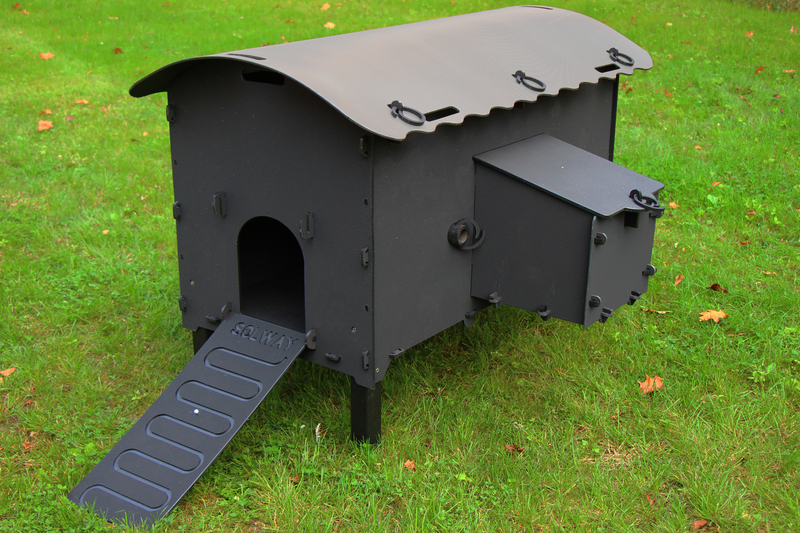 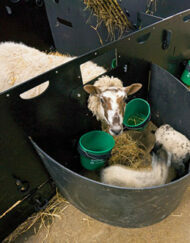 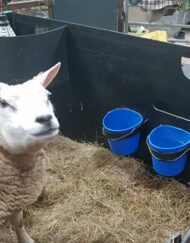 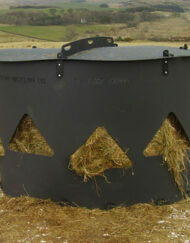 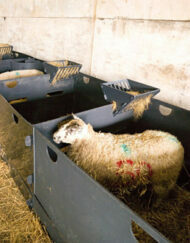 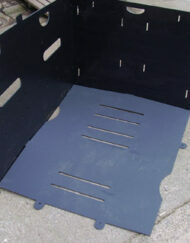 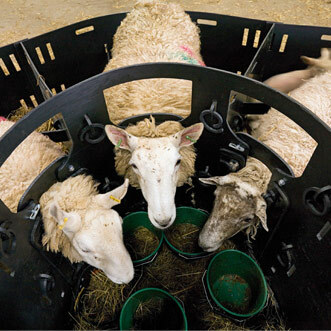 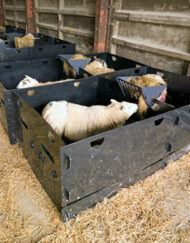 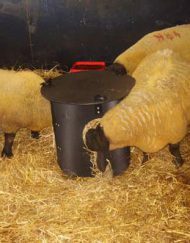 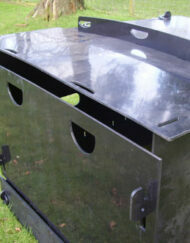 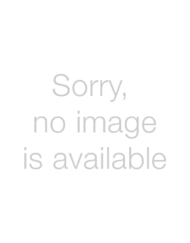 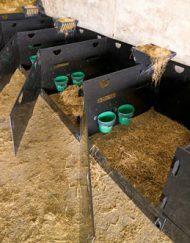 Supplied with bucket holders and buckets the Solway 3 Ewe Lamb Adopter improves survival rates for weak lambs by having a safe area to either side of each ewe and optional holders for heat lamps. 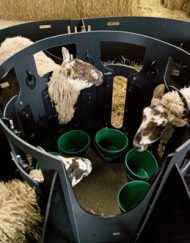 The 3 ewe lamb adopter has the specific advantage of allowing fostering lambs to different ewes as the Ewe’s may be contained safely and comfortably at the outside of the adopter pens. 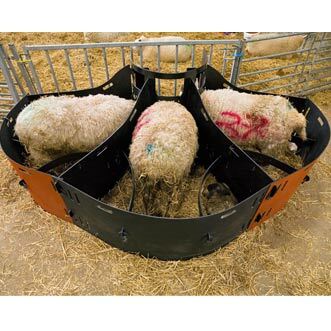 The recycled plastic 3 ewe lamb adopter has the added benefits of low maintenance it will not require weather treatment, non absorbent is highly hygienic which reduces any risk of infection or disease with your lambs. 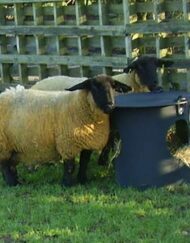 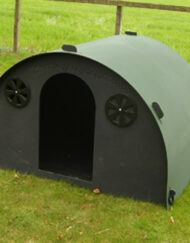 The recycled plastic is extremely strong and will withstand biting from a lamb.